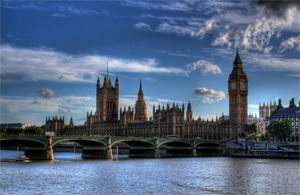 There's plenty happening in London and the United Kingdom in 2012. Here's our pick of premier events for this year. Chinese New Year: This is one of the biggest Chinese New Year celebrations to take place outside of China, and features a rapturous parade followed by a boisterous festival. 2012 is the year of the dragon. Diamond Jubilee: In the first week of June 2012, Her Majesty The Queen will celebrate 60 years as Britain's monarch. Olympic Games: Welcoming the world's greatest Olympic athletes, The London Olympic Games will feature 26 different sports, breaking down into disciplines and events. Trooping the Colour: The Queen's birthday, this annual display of pomp and ceremony might not glisten quite so grandly when compared to the Diamond Jubilee shortly beforehand, but it's another reliable display of British majesty. Greenwich and Docklands International Festival: There are over 200 free performances taking place during this festival. It's been going for a few years now, but with this being the Olympics year expect a bumper programme from this East End event. With so much going on, not to mention the weddings and corporate events taking place, this is going to be an exciting year for The Fireworks Firm!